Since Anthony Lewis has moved on from Sydney HEMS, Clare H-B has taken on the considerable task of compiling the airway audit. Unfortunately Clare couldn’t attend to present the data so Karel went through data from two months (August and September). 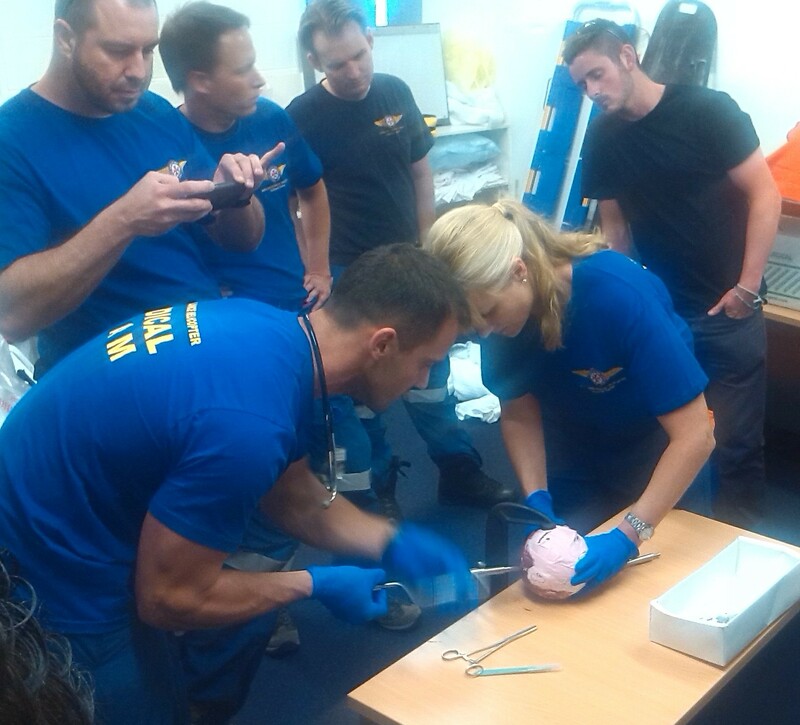 Over 90% of intubations were achieved on first-look, with the remaining cases intubated on the second attempt. Testing S100b is still at an early phase but with a reported sensitivity of 99%, it may be a useful rule-out test if applied to appropriate, low-risk patients. However a specificity of 12-28% may lead to increased investigation of false-positive results. With time it could become the D-Dimer of head injuries! As our European HEMS registrars are discovering, Australia is a pretty big place and there can be lengthy transfer times to definitive care. It may be a rare occurrence but there have been occasions where it has been necessary for a non-specialist to decompress an extradural haematoma in a rural hospital. The neuroprotection SOP recommends that for patients with an extradural or acute subdural haematoma where the transfer is likely to take more than two hours, the case should be discussed with the receiving neurosurgeon, with one of the options being on-site burr hole exploration. The team were tasked to a remote rural hospital, to retrieve a patient who had sustained a skull fracture with underlying extradural haemorrhage following an assault. Unknown to the retrieval team, he had also been stabbed in the back with a developing pneumothorax and was becoming increasingly hypoxic as the scenario progressed. The team successfully identified the pneumothorax as well as the patient’s deteriorating conscious level and instigated the necessary neuroprotective measures prior to transferring the patient to Sydney for neurosurgical intervention.